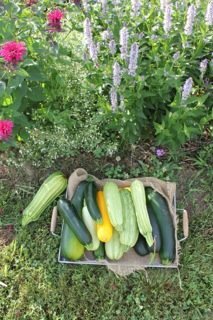 OK, so I planted way too many zucchini seeds. And “thinning” is not my strong point. Thus: one free zucchini with every 10 lbs of blueberries! Whatta deal!